Wye has a small but central public car park off Churchfield Way. This is owned by Ashford Borough Council and it is clearly sign posted and lit. The car park is free to use, but only for a stay of less than 24 hours. Warning: Ashford Borough Council will apply parking penalty charges after 24 hours. The railway station has a small gravel car park area off Bramble Lane for use by passengers. This is unmarked, unlit and usually full during the day. 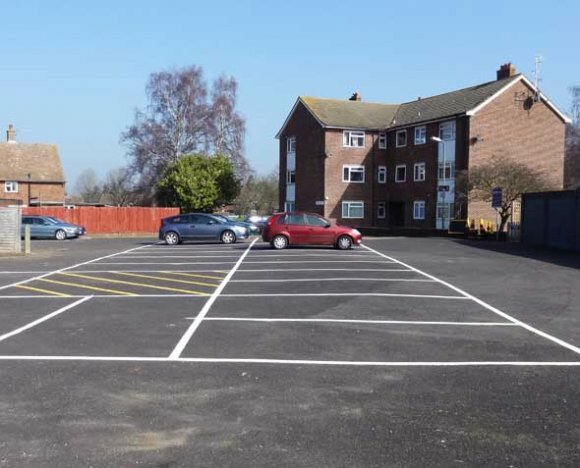 There are short stay parking bays near the Post Office, and various unrestricted parking spaces near the shops and facilities. Wye Village Hall has a private car park for users of its sports and recreational facilities, and it shares this space with the primary school. This car park is lit and it has two disabled parking bays. Access from Bridge Street is steep and less mobile people may find this difficult.